When we’re thinking of conflict in games, we often think of the individuals competing against each other, as in Chess or Risk. That model can sometimes be useful if you’re trying to simulate a situation where every person is out for themselves, but often I find the model of group vs. system to be more relevant for a classroom environment. The recent renaissance of board games is driven to a great extent by cooperative games, where people play collectively against the game, winning or losing together. 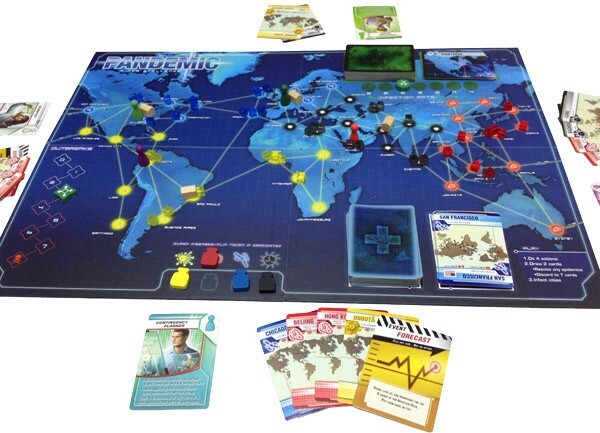 For example, in Pandemic, players take roles such as medic, scientist and dispatcher in a heroic attempt to save the world from four contagious diseases. Cooperative board games are a treasure trove of design ideas for classroom activities. These games are designed for groups very much like the ones you divide your class into on a regular basis. Why not spend a little more time thinking about ways to structure this experience? Roles. Successful designs assign roles to each player, granting them a special ability or giving them access to important information that nobody else does. The goal is to make sure every person is important and no one student can dominate. Complexity. The task you give a group should be complicated enough to prevent any one individual from being able to deal with it alone. Posing a serious challenge to the group opens up the opportunity for students to divide the work. Strong students may want to solve everything by themselves but they may soon realize that they cannot. Individual attention. Group work provides an opportunity for stronger students to help weaker students. By strategically dividing the groups or assigning roles, you can create an opportunity for peer support and individualized challenge. A strong student may be assigned a more challenging role or a role that requires them to help others in their team. For example, in Pandemic, the dispatcher’s special ability lets them move other players around the board. Assign this kind of role to the right student and they will be supporting other students without even knowing they’re doing it. Dead of Winter: outside it’s cold and full of enemies; inside it’s . . . not safe either. Semi-cooperative. Modern board games play around with hidden identities, individual goals, and even betrayal. 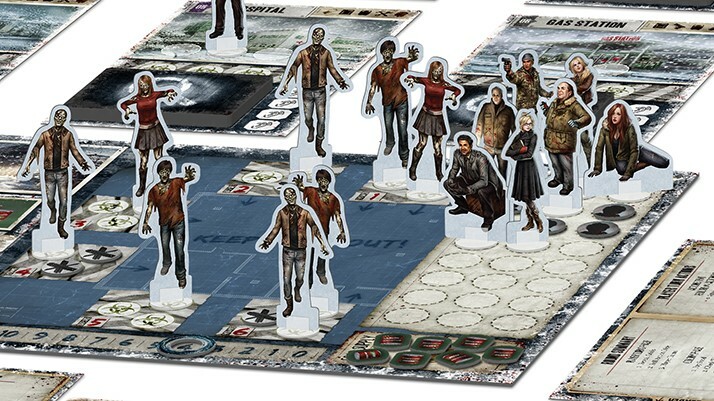 In Dead of Winter, a colony of survivors facing the zombie apocalypse have to work together to survive the winter and zombies. But there is no comfort inside the colony either: each player has a secret personal objective that does not help the colony, and it’s even possible that one of them is secretly working against everybody else. Giving students secret objectives in group work is an incredibly powerful tool that can be used to mimic complicated political situations where some members of the team have their own personal goals. Once you’ve mastered the design of group activities, you can add spice by pitting groups of students against other groups or even a group against one individual student. If you’re interested in that, write it in the comments – I’ll be happy to discuss the subject more.